Forecast rains in northern California carry the potential for unleashing dangerous mudslides in newly burned areas from the wildfire while also making it more difficult for forensic teams sifting through cinders and debris in search of additional human remains. 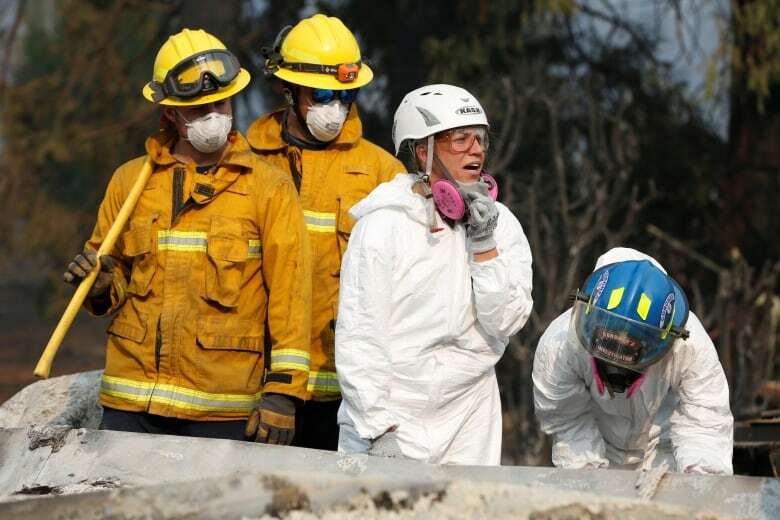 Authorities on Monday redoubled efforts to find more victims of the deadliest wildfire in California history and to account for nearly 1,000 people listed as missing, with forecast rains likely to hinder the search and raise the risk of mudslides. 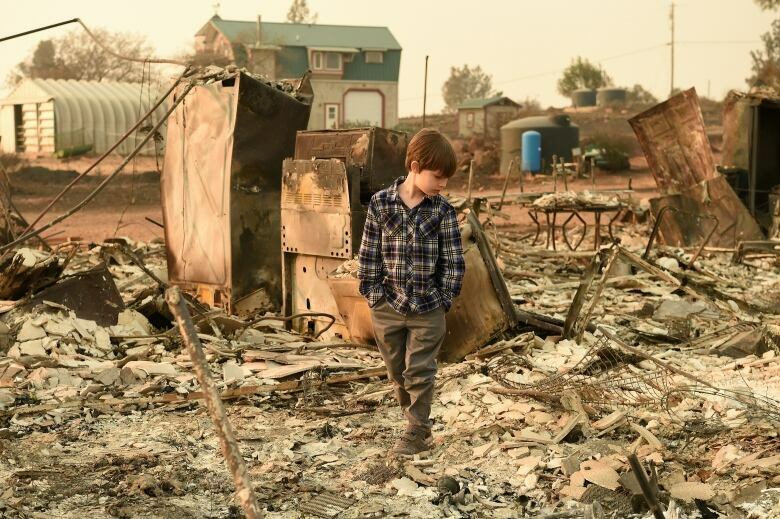 Remains of 79 victims have been recovered since the Camp Fire erupted on Nov. 8 and largely obliterated the Sierra foothills hamlet of Paradise, a town of nearly 27,000 people about 280 kilometres north of San Francisco. Efforts to further suppress the flames were likely to benefit from a storm expected to dump as much as 10 centimetres of rain north of San Francisco between late Tuesday and Friday, said Patrick Burke, a National Weather Service forecaster. Colleen Fitzpatrick, founder of the California-based consulting company Identifinders International, said the expected rain will turn the site into a "muddy, mushy mess," slick with wet ash. "It's going to coat things and stick to things, and it's going to make it a lot harder to find remains," she said. "There's really nothing that can be done about this. The workers looking for remains are going to be stuck with this." The elevated risk of mudslides could also increase the misery factor for evacuees, some of whom are living in tents or camping out of their cars. Residents who only recently were permitted back in homes that survived the fire may be ordered to evacuate again if they live downslope from badly burned areas. Intense fire over the slopes of canyons, hills and mountains makes them more prone to catastrophic erosion in the form of landslides, by burning away vegetation and organic material that normally holds soil in place. The fire also creates a hard, waxy surface that tends to repel rather than absorb water. The result can be heavy runoff of rainwater mixed with mud, boulders, trees and other debris that flow downhill with tremendous force, said Jason Kean, a research hydrologist for the U.S. Geological Survey. "Those debris flows have the consistency of wet concrete and move faster than you can run," he said. "It's like a flood on steroids ... and a big one can take out two-story buildings." 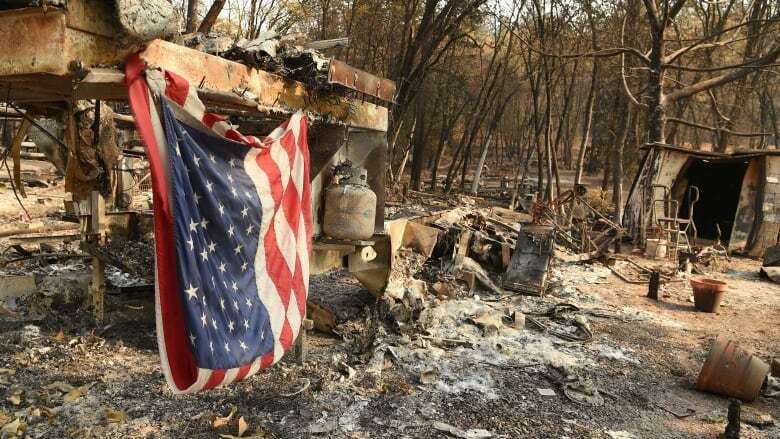 The latest official death toll, which has climbed steadily over the past week, was announced by the California Department of Forestry and Fire Protection (Cal Fire) a day after the Butte County Sheriff's Office reduced the number of names on its missing-persons list to 993, down from 1,276 on Saturday. That roster has fluctuated dramatically over the past week as additional individuals were reported missing, or as some initially listed as unaccounted for either turn up alive or end up being identified among the dead. As of Monday, the fire has torched more than 61,107 hectares of drought-parched scrub and trees, incinerating some 12,000 homes along the way, Cal Fire said. But firefighters in recent days have gained significant ground against the blaze, carving containment lines around 70 per cent of its perimeter, according to the agency. The number of people in need of temporary shelter was not clear, but as many as 52,000 people had been under evacuation orders at the height of the firestorm last week. Nearly 800 km south of Paradise near Malibu, west of Los Angeles, at least five centimetres of rain are expected to fall on a second fire, the Woolsey, which has killed three people. That blaze was 94 per cent contained by Monday morning. Malibu's power supply was cut off on Monday to allow for repairs, the Los Angeles County sheriff's office said.